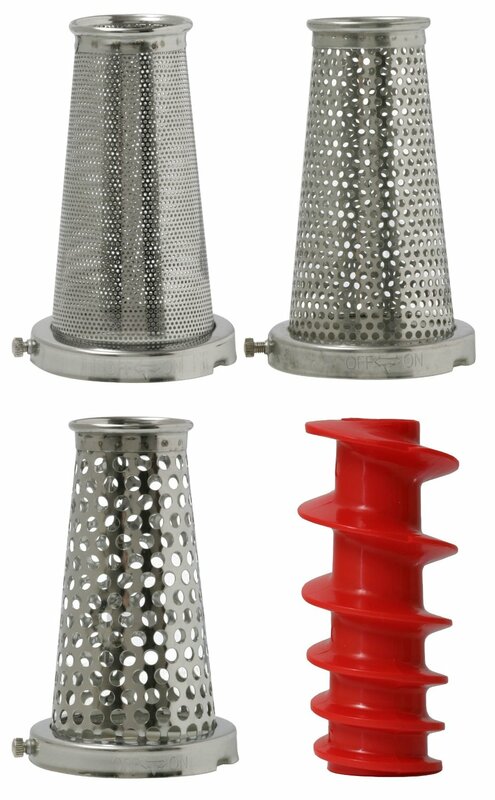 This Back to Basics Food Strainer is well known for its precise operation and long lasting reliability. Make sauces, purees, and jams without having to waste time prepping the fruits and vegetables. 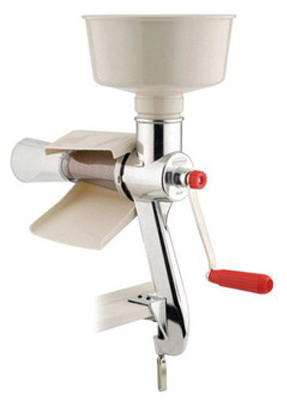 Simply place the fruits or vegetables in the large capacity heat resistant hopper and turn the crank. The Food Strainer does all the hard work for you. A stainless steel screen removes all skins and seeds, leaving beautiful, smooth jams, purees, and sauces. So, for example, you can easily make applesauce without peeling the apple skins or coring the apple. Once you cut the apples in half or quarters and cook them until soft, simply place the apples into the large capacity hopper, and turn the crank. The Food Strainer separates the seeds and skins through the chute while the homemade, smooth applesauce falls into a waiting bowl. The Victorio features a sturdy nylon spiral and hopper that will not dent or rust and are not affected by fruit and vegetable juices. Fully gasketed and sealed at shaft and screen to eliminate leaking and dripping. Optional screens can be purchased for a variety of uses. Screens are constructed of stainless steel and feature simple twist-on design. 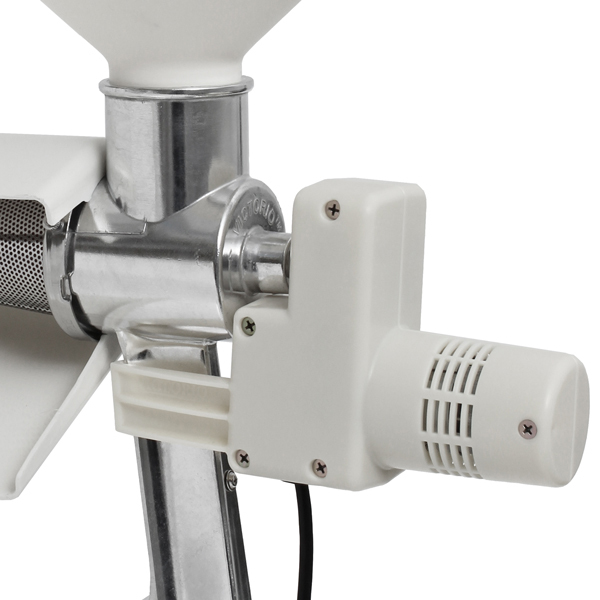 Automatically cores and peels for you - cuts canning time in half!